Arthur A. Levine Books, 9780545403108, 336pp. Then a young man named Sterling Promise offers Jade Moon and her father a chance to go to America. While Sterling Promise's smooth manners couldn't be more different from her impulsive nature, Jade Moon falls in love with him on the long voyage. But America in 1923 doesn't want many Chinese immigrants, and when they are detained at Angel Island, the "Ellis Island of the West," she discovers a betrayal that destroys all her dreams. To get into America, much less survive there, Jade Moon will have to use all her stubbornness and will to break a new path... one so brave and dangerous, only a Fire Horse girl could imagine it. Kay Honeyman became fascinated with the topic of Chinese immigration after she and her husband adopted a son from China in 2009. 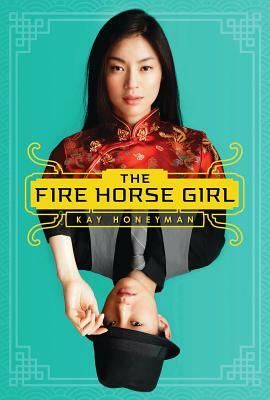 "The Fire Horse Girl" is her first novel. Kay teaches language arts in Dallas, Texas, where she lives with her family. Please visit her website at www.kayhoneyman.com.